Not many wholesale tile distributors will have detailed information about the type of natural stone that they are selling. At best, you’ll get the basics, a short description, the price and the dimensions. Here at Nalboor Tiles, we believe that our customers should be well informed about the products that they are receiving from us. Because we sell in bulk, we understand that most of our customers are professionals in the industry: builders, contractors, interior designers, developers and retail managers. So when buying your supply from us, know that your customers will have questions. They will want to know as much about their product as possible and they are going to expect you to have all of the answers. Bella is most commonly used for flooring and is most popular in the warmer climates, as this particular stone tends to keep a cool temperature. However, builders have found innovating ways for four-season residents to enjoy this beautiful stone. Homeowners in living in cooler climates can warm their feet on Crema Bella marble by installing heated floors underneath the tiles. This is either done through heated cables or a heated mat. With this feature, Crema Bella marble is no longer limited to a certain part of the country or even the world. Where Else Can Crema Bella Be Installed? 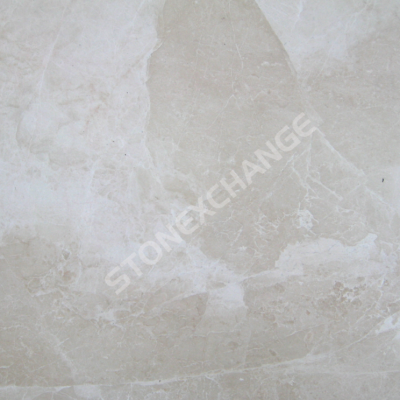 Marble flooring is typically the reason builders purchase this tile. However, designers have gotten creative with other ways to incorporate this beautiful tile into a build. Instead of using paint or wallpaper, consider covering your walls with Crema Bella tile. This particular type of design would work lovely in large spaces, giving a room a regal, yet airy feel. This particular tile would be most attractive as a wall feature as well. Simply choose a wall that might get the least amount of attention and install Crema Bella there. It will give your room a focal point, and instantly upgrade the quality of your build. Crema Bella marble can also be installed in kitchens as a decorative backsplash or as countertops. Many high-end kitchens will use natural stone to create extended backsplashes that reach the length of the cabinets. This kind of décor basically mimics the previous suggestion for installing marble as a wall feature, but in this case it would serve a purpose in the kitchen. Marble is a porous stone. It is not obvious to the naked eye, and for the most part, it does resist water. Nonetheless, it is a material that needs to be properly treated. If not, it will lose its lustrous shine. If the intention for Crema Bella marble is to for kitchen use, then it is important to educate yourself on the proper maintenance of this material. For retail sellers, knowing and teaching buyers how to clean their marble will save your business from dealing with disgruntled customers who may think that they bought an inferior product from you simply because they did not proper maintain their marble the right way. As these types of materials are often the standard cleaning supplies, marble only requires a warm soapy cotton cloth and frequent dusting. Important: Every 12 -16 months, your marble surfaces will need to undergo a through sealing process. This process is quite simple and the sealant is relatively affordable. Of course you will have to take in to consideration the amount of sealant needed based on the square footage of Crema Bella marble installed. Overall, it’s a simple do-it-yourself process. It’s worth noting that you can sometimes get your builders to coat your marble surface after they’ve installed it too. So if you’re considering buying Crema Bella as part of your marble tile inventory, it is highly recommended to purchase a few gallons of marble sealant to come along with it. Chances are your customer will want to make sure their marble floors and/or walls stay protected. Going back to the example of skin, what happens when skin is not treated properly? It gets damaged. In the case of Crema Bella, it will lose its gloss, taking on a matte-like finish that is more susceptible to staining. As long as marble has it sealant, it keeps is shine making it easier to resist spills and stains. Liquids will roll right off. However, even with a good sealant, it is recommended to clean up dark spills as quickly as possible. The longer you leave dark spills on a light-colored surface like Crema Bella, the more likely it is that that spill will seep into the micro pores leaving a slight discoloration to the surface. Crema Bella’s light brown neutral tone will definitely show early signs of neglect and improper treatment. So as a seller, you should to warn your customers about this if they’re considering installing this particular grade of marble into their build. Stress the importance of making sure that their Crema Bella tile needs to be treated with a sealant every 12-16 months. If you’re looking to stock Crema Bella marble tile as part of your inventory, the smartest way to get the best price is to purchase your natural stone by the bulk. When purchasing in bulk, you’ll most likely get a reduced unit price. When purchasing natural stone from Nalboor Tiles, you will get a discount if you buy Crema Bella from us in bulk. Our tile starts off at $3.95 per square ft. To learn about the different size Crema Bella tiles we carry, read more here. Discounts start by the crate. To order a FREE SAMPLE of Crema Bella, place your order here. If you are pleased with the sample, place your bulk order with us online today or call us at 1-305-501-4548.